Poster. 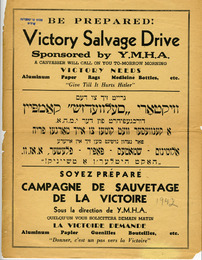 Victory Salvage Drive, Sponsored by the Y.M.H.A. Text includes: Be prepared! 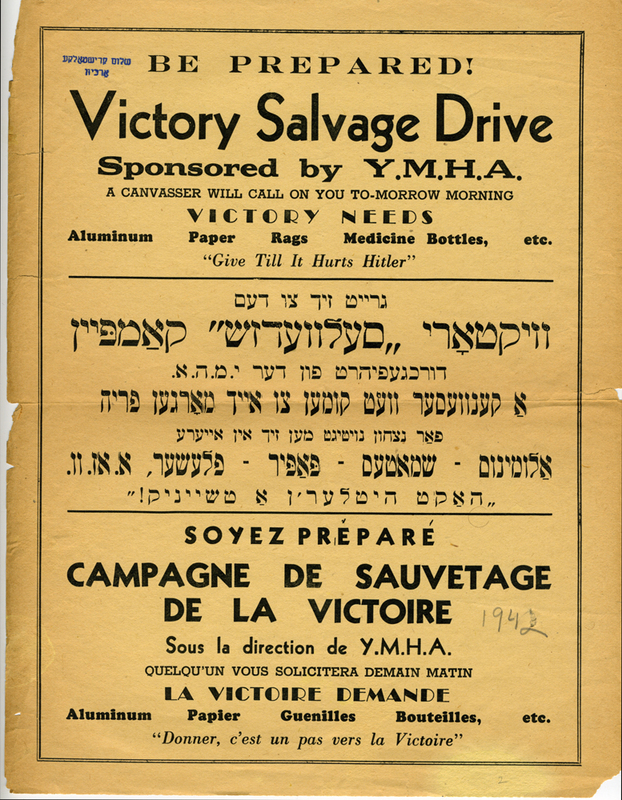 Victory Salvage Drive / Sponsored by the Y.M.H.A. / Victory needs / Aluminum Paper Rags Medicine Bottles, etc. / "Give Till It Hurts Hitler" (1942). Poster. 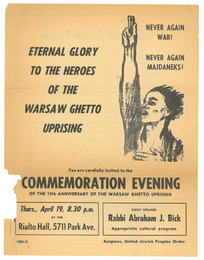 Commemoration Evening of the 13th Anniversary of the Warsaw Ghetto Uprising, United Jewish People's Order (1956). Poster. 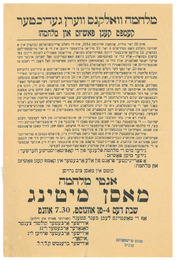 Anti-War Mass Meeting, "War Clouds are Thickening, Fight Against Fascism and War". 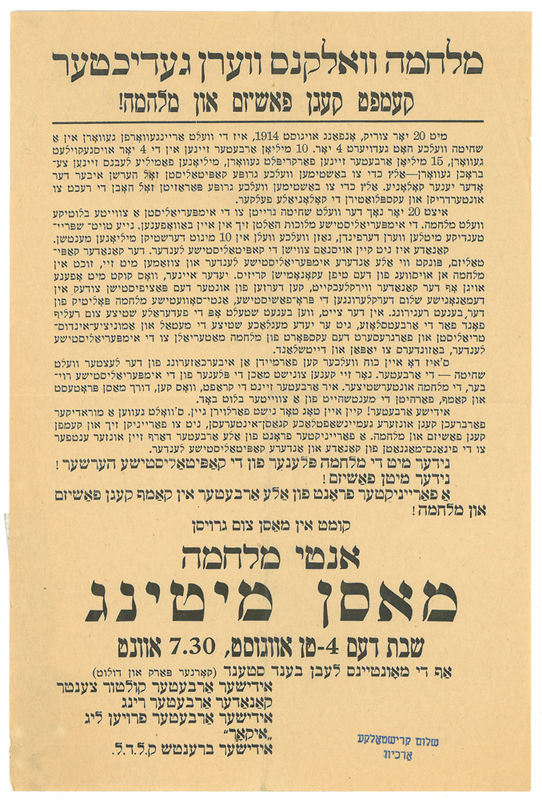 Translation from Yiddish: Anti-War Mass Meeting / Saturday August 4th  7:30PM / "War Clouds Are Thickening! 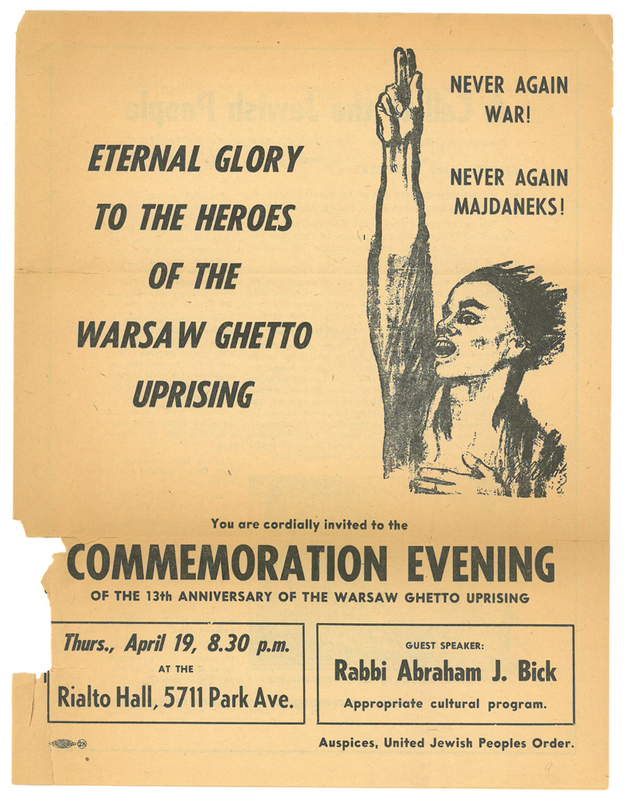 Fight against Fascism and War" / Jewish Worker's Culture Centre / Canadian Arbiter Ring / Woman's League of Jewish Workers / ICOR [Organization for Jewish Colonization in the Soviet Union] / Jewish Branch of C.L.D.L. (1934).